Palestinian Authority holding US citizen in custody for facilitating sale of Jerusalem property to Jews. The United States on Wednesday demanded the immediate release of an American citizen held by the Palestinian Authority, after he allegedly helped facilitate the sale of real estate in Jerusalem to Jewish buyers. Last month, Issam Akel, a 53-year-old Arab resident of Jerusalem who holds both American citizenship and an Israeli identification card, was captured by Palestinian Authority agents, after it was alleged that he worked as an intermediary in the sale of property in the “Aqaba Darwish” section of the Old City of Jerusalem to Jews. Palestinian Authority leaders condemned the sale, and called for a full investigation. 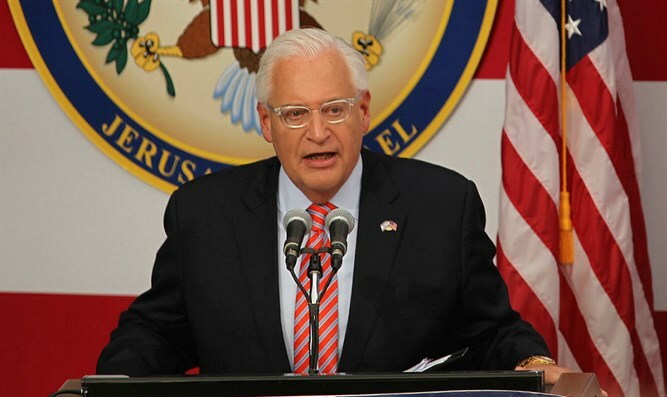 On Wednesday, American Ambassador to Israel David Friedman condemned the PA for Akel’s kidnapping, and demanded that he be freed immediately. “The Pal Authority has been holding US citizen Isaam Akel in prison for ~2 months,” tweeted, Friedman. In 2014, Abbas toughened the PA law against selling property to Israeli Jews, so that any Palestinian Arabs involved in renting, selling or facilitating real estate transactions with citizens of “hostile countries” in any way would receive life imprisonment and hard-labor. Israeli security forces arrested two senior PA officials in connection with Akel’s kidnapping. The two were later released. Earlier this month, Israeli police raided one of the PA official’s offices in the Jerusalem district. Police arrested the official, Adnan Gheith, a second time, taking him back into custody on Sunday.